Prepare yourselves. You’re about to get Pinterest goals for an in-home anniversary session! How cute is Jessica’s kitchen?? When she said she wanted an in-home anniversary session with her husband and children, we knew this was going to be a good one! Her home looks like Pottery Barn just popped out of the magazine and formed itself into an actual home in front of our very eyes! Not only is her home gorgeous, but her family is too! We had the pleasure of photographing Jessica’s baby shower as well, so we knew that her family was just going to be amazing to work with. Her kids are so well behaved and just the sweetest! 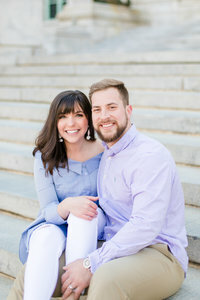 To view more anniversary sessions, browse the links below!